It can be challenging to manage yours or a loved one’s medications which is why we are here to help! Medication planners and specialized packaging can help to ensure you are taking your medications properly. If you are already using a medication planner, we can manage it for you, giving you more time to do things you truly enjoy. We will take care of all the details for you. 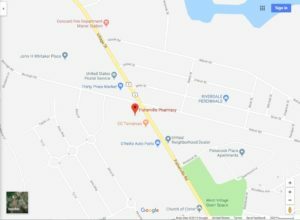 Fisherville Pharmacy offers two different types of adherence packaging options for our customers at no additional cost. Your medications come organized by date and time, securely sealed in individual easy-open packages. So, when it’s time to take your next dose you just tear the package off the roll and your pills are there. That’s all there is to it: no boxes, no bottles, no bother. 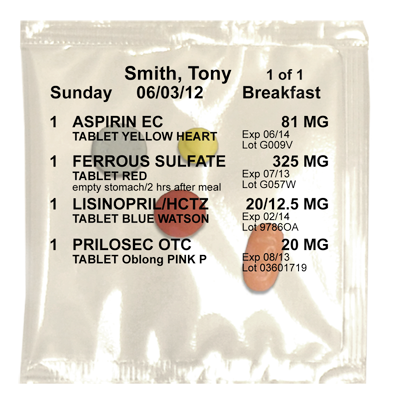 Dispill is an innovative and patented multi-dose packaging system that makes it easy to take your medication. 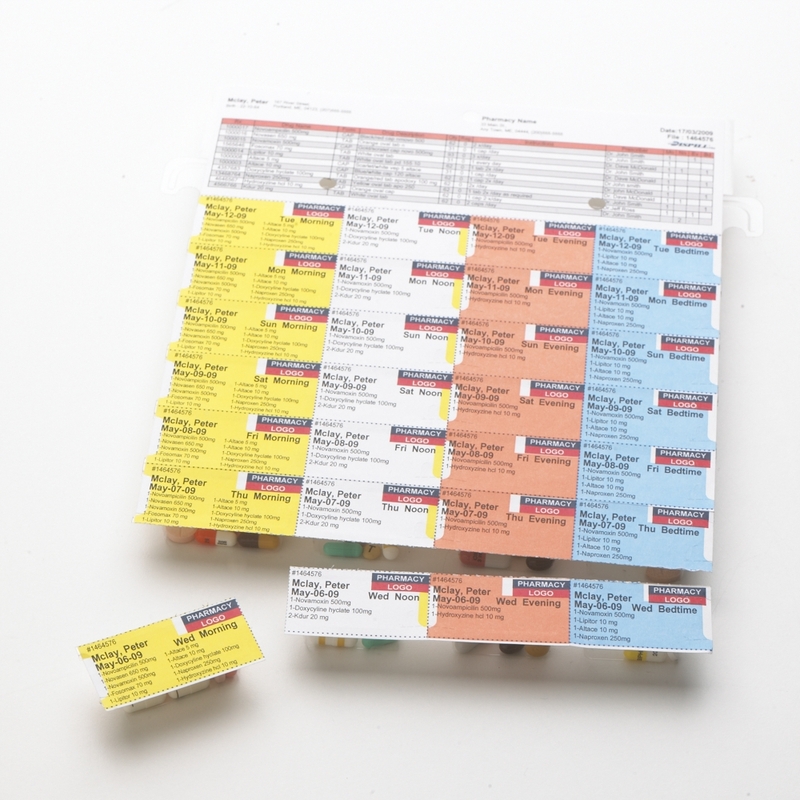 Each Dispill blister pack contains 28 individual blisters that contain your prescribed medication for a specific time (morning, noon, evening, bedtime) and date. Dispill also provides an effective medication reminder system- when a blister pack for a specific time is empty then you know you have taken your medication. Carrying your Dispill blister pack let you and your health specialists know about the medication you are taking.